Merry Christmas and Happy New Year to all my readers. 'Tis the season of giving, so I have a gift for you. Give Me Your Teeth: A Fae Tale is available for free on Amazon from Christmas day through December 27. Grab it for free while you can, and if you like it, please leave a review. It's a story about the Tooth Fairy like you've never seen her before. If you've spent all your cash spreading good cheer, here are a couple opportunities to get something for yourself. I contributed to both projects, but the best news is they're free. 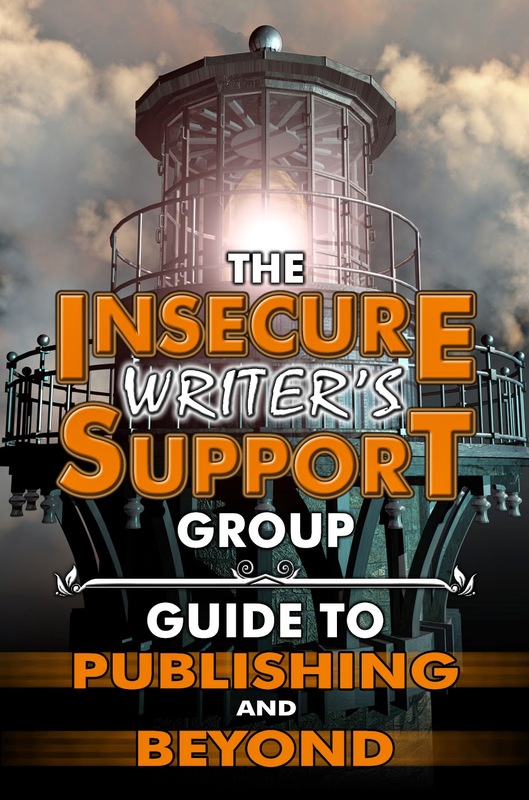 First up is the IWSG Guide to Publishing and Beyond from the Insecure Writers Support Group. The IWSG Guide to Publishing and Beyond is free for download from Amazon | Barnes and Noble | Kobo | Smashwords. Drunk On Writing is available in these formats: PDF | MOBI | EPUB. The Fatal Tree is the fifth and last book in Stephen Lawhead's Bright Empires series. After reading The Shadow Lamp (book four), I was skeptical that Lawhead could wrap up this series in one novel. There were so many plot lines and so many protagonists and the "End of Everything" of looming on the horizon. Lawhead does wrap up all the stories without resorting to a big crunch. Is the conclusion satisfying? Hmmm. I'm still thinking. As The Fatal Tree begins, inexplicable events involving time and place are shifting random people from one reality to another. A group of software developers, for instance, find themselves transported to a battlefield in the midst of the Crimean War. The shift doesn't work out for them. The fabric of time and space is tearing. Ley travel is becoming unpredictible. Astronomists find evidence that the universe's expansion is coming to an end and their models say it will soon reverse direction and collapse in a matter of weeks. The Zetetic Society members decide the problem is connected to Arthur Flinders-Petrie's actions at the Spirit Well, which Kit stumbled into in an earlier volume. Kit, Cass, and Mina decide to go to the Spirit Well, although it's not clear what they can do once they get there. However, a massive yew tree has grown up on the portal Kit used. The tree contains so much energy that any living thing that touches it dies. Kit and company spend most of the novel trying to move from one place to another (ley lines are now unstable) and get past the tree. They experience the instability of the universe firsthand when they meet their dopplegangers. Kit does find a way to tie the collapse of the universe to Archelaeus Burleigh, but as his companions argue, it hardly matters at this point. Kit and company receive assitance in their quest from a very unlikely source. The action in The Fatal Tree is fast paced. Impending doom hangs over every scene. In many ways the novel is a satisfying read but does it conclude the series in a satisfying manner? A lot happens at the Spirit Well. The actions and motivations of the characters make sense, but it's not clear how what happens makes a difference. The ramifications are never played out or developed. Four books preceded these events. I don't think we need four more books to wrap up the series but the end seemed a bit rushed to me. Much of the series involved the search for the skin map as the primary motivator. However, the skin map becomes irrelevant in the final stages of the story. No one uses it to find the Spirit Well. Perhaps Lawhead wants to show us how we often miss what's really important when we focus on acquiring something material. That theme could be brought to the fore if the characters reflected on the search for the skin map and its place in the overall story. Despite these reservations, I highly recommend the Bright Empires series. It's been a fun ride. Will we see it at Kindle Worlds? I hope so. The ley-leaping concept seems ripe for fan fiction and further adventures. Happy ley jumping and may you always land where and when you hope to land. In conjunction with the CSFF Blog Tour, I received a free copy of The Fatal Tree from the publisher.